Escape Rumors is honored to be part of the nomination panel for the top escape room in the US. We played at 14 of the 20 escape room finalists and they can be found on our ratings page. You can also find full reviews of some of the rooms here. I didn't think that I would have the chance in the near future to go to NOLA, let alone the nearby cities of Tickfaw and Baton Rouge (90 minutes away), so I decided to sign up. I bought a pre-sale ticket and by the time they opened up the tour to the public, only one of 24 tickets was left! David and Lisa were able to secure a second bus on the tour due to popular demand and the rest was history. See our review of the amazing Escape Immersive Explore our by RoomEscapeArtist in New Orlean here! We are proud to announce the Escape Rumors Achievement unlocked Medalists for 2017! 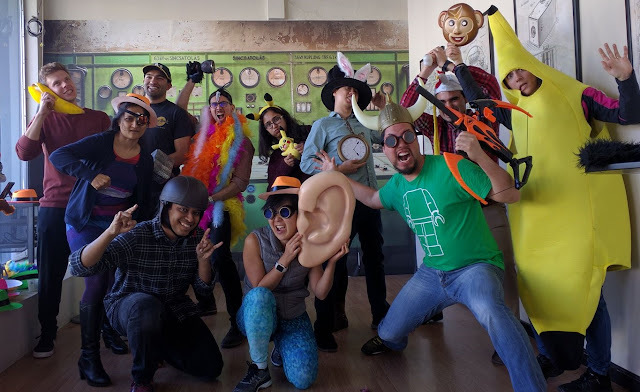 Fellow escape room enthusiasts Errol Elumir and Lee-Fay Low compiled an insightful survey about escape room players and owner. The below is a snippet of one of the charts in the survey and you can see the professionally done summary summary here. At EscapeRumors.com we always want to learn more about about players and creators. The below is our first interview and we plan to have more with folks with various backgrounds. Please reach out to us (escaperumors@gmail.com) for any comments or questions! Rich has quite the resume in game design having worked on projects for Microsoft, Wizards of the Coast and GLU Mobile. See more.